Alyssa Barrera delivers: Typically, the job of the leadoff hitter is to just get on base and let others make things happen. Bishop Amat High School senior Alyssa Barrera was on the other side of that equation in the CIF Southern Section Division 3 softball quarterfinals on Thursday afternoon.The leadoff hitter needed to make it happen for once. And she did, delivering a game-winning single with one out in the seventh inning to carry the Lancers to a 1-0 victory over Laguna Hills. San Dimas can’t score enough: Facing the top-seeded team in the playoffs is never an easy task, and it was too much for the San Dimas High softball team on Thursday. The Saints gave it their best shot against St. Bonaventure in the CIF-SS Division 5 quarterfinals, but fell 14-3.Several defensives miscues allowed St. Bonaventure (21-6) to jump out to a 2-0 lead. Bishop Amat at Redondo Union, 3:15 p.m.
South Hills falls in 9 innings: Valley View pitcher Eileen Perez wasn’t trying to out perform or out pitch South Hills’ Florida-bound junior Natalie Lugo, she was trying to give her team a chance and that meant being nearly flawless, and she was. Perez threw a two-hit shutout and Valley View scored in the ninth inning for the only run in a 1-0 victory at South Hills in Thursday’s CIF Southern Section Division 2 quarterfinal.Fourth-seed Valley View improved to 26-1 with its 24th straight win to advance to the semifinals for the first time since 2012, where it will host La Habra, a 4-2 winner over Rio Mesa on Tuesday. Lugo allowed three hits and struck out 17 and the run she allowed in the ninth was unearned.But Perez was solid as well, retiring nine straight to end the game. Just when it appeared Lugo might have an easy ninth inning, a routine pop fly by Diana Ramirez between short and third with one out was dropped for an error, allowing Ramirez to reach first. Stephanie Soriano belted a single up the middle and Schuyler Broussard was hit by Lugo, loading the bases. That set the stage for Katie Ontiveros’ scoring fly out to center that scored Ramirez from third for the game winner. “We knew it was going to come down to whoever made the first mistake, or got the first hit, and unfortunately for them they did make the first mistake and we were able to capitalize on it,” Romero said. 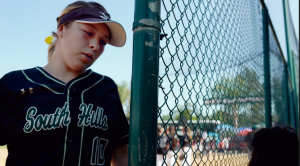 It was South Hills coach Brandon Gonzalez’s bigger fear, a pitching gem by Lugo wasted. The Huskies finished the season 22-8. 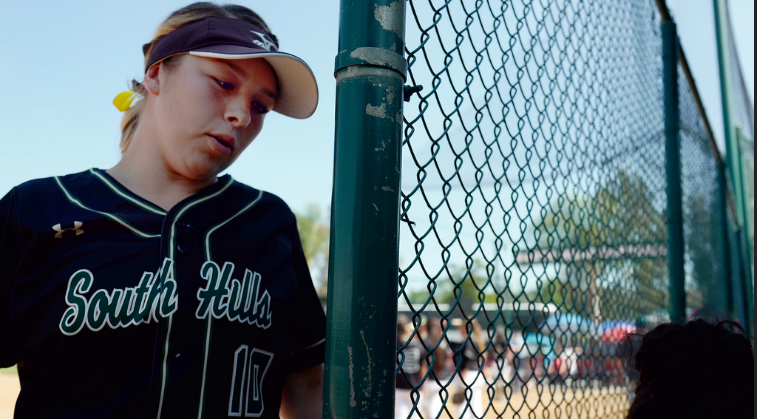 South Hills’ best chance to score came following a one-out triple by Shania Carlin in the fourth inning. With two outs, Salina Munoz belted a shot to right-center that looked like it would drop, but Eagles right fielder Abby Bates rushed in and made a diving catch to save the run and end the inning. It was plays like that, Perez said, that make her job easier. What a game Lady Lancers…..Great Win!!!! Knew we would do it. Hats off to Laguna Hills and #25. Kept us on our toes.